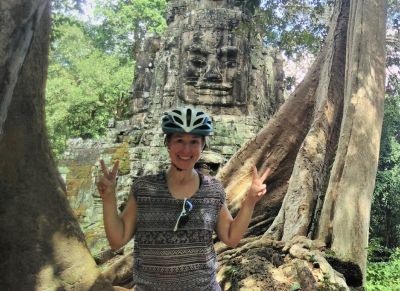 Essential Information | Cambodia and Vietnam Cycling Holidays and Cycling Tours Southeast Asia : Beginning with the ancient Khmer temples of Siem Reap and ending in the buzzing modernity of Ho Chi Minh City. 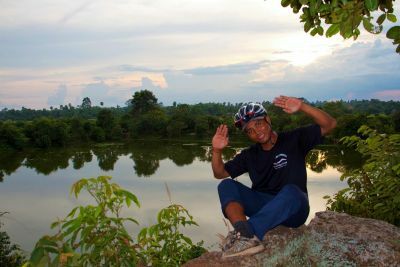 Our Cambodia to VIetnam cycling holiday starts on a Sunday in Siem Reap and lasts 14 days ending on Saturday in Ho Chi Minh City. We appreciate that people join redspokes tours from all over the world; no matter what time you arrive at the airport on the tour start date you and your luggage will be transferred to the joining hotel. Please bear in mind that if you arrive before midday you may have to wait for your room to be made available. If you decide to arrive early or stay on after the tour, redspokes can assist you in booking your accommodation and airport transfers at additional cost. If you depart on the last day of the tour airport transfer is included in the tour price. 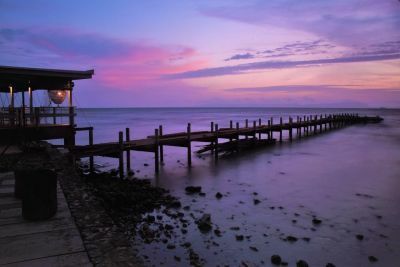 Check out www.expedia.com or www.kayak.co.uk for an idea of times and prices. You will need to arrange multi-destination flights for this tour to arrive in Siem Reap (Cambodia) and depart from Ho Chi Minh City (Vietnam). You must be in possession of a valid passport with at least 6 months validity from the date you enter the country. Before you travel check your passport to ensure that there is room for a visa and entry/exit stamps (at least 3 pages). 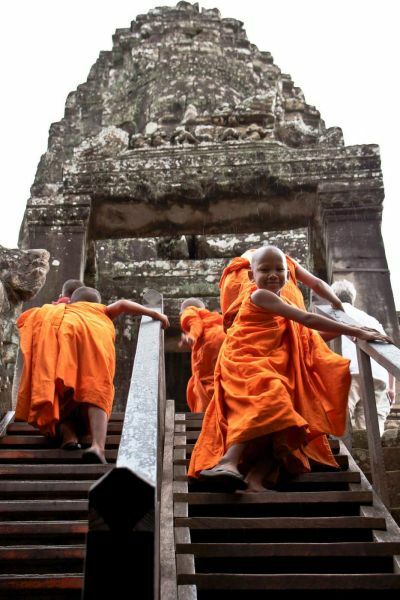 Cambodia: One month single entry visas are required for Cambodia and can be obtained on arrival in the country. Visas at the airport cost US$20, please bring a recent passport photo with you. You can also obtain a visa in your own country prior to arrival through a Cambodian Embassy or Consulate or apply online through E-Visa. Vietnam: British and Thai passport holders do not need a visa if they stay in the country less than 14 days. For information relevant to the country for which you hold a passport, check with your local Vietnam embassy for up to date advice. 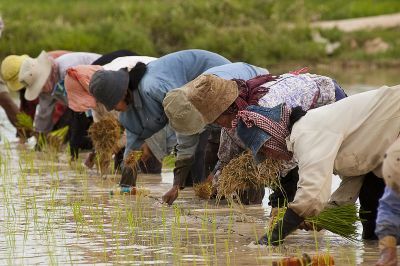 To cross the border from Cambodia to Vietnam travellers will need a visa. E-visas are acceptable and can be applied for online from this website: E-Visa Vietnam. All of the time you will have the security of a back-up vehicle(s); either a mini-bus or truck. The vehicle will carry our entire luggage (we transport your main baggage by support vehicle from each overnight stop to the next) and yourself if you want. The back up van will be with us throughout the day stopping around every 15 miles. 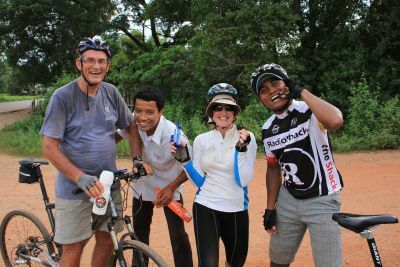 Our leaders carry a good tool kit and will help to fix any bike problems so all you normally need to carry is a daypack, for your camera etc, however, we cannot guarantee that we will be equipped for all repairs, so you must ensure that your bike is in good working order before the tour. If in doubt, have it fully serviced by a bike shop before you travel. 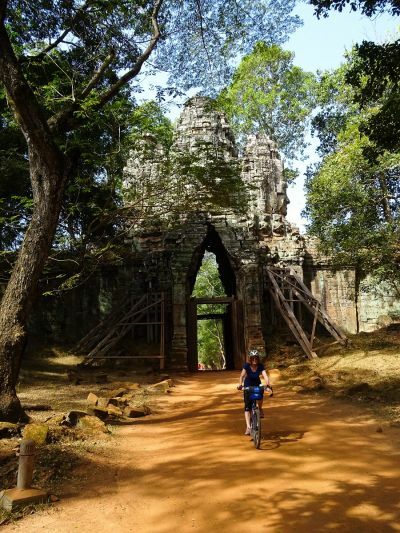 Cambodia is suitable for a tough hybrid or a mountain bike; please ensure that your bike is in good working order before you leave for the tour. If you are not the most mechanically minded we suggest that you get your bike looked at by a professional bike mechanic. In particular we would suggest looking and adjusting all wheel spokes, greasing all your bearings, checking your brakes/gears cable, tighten all nuts and bolts, check chain, quick release clamps, tires and put in new inner tubes and check wheel rims are not worn. In addition ride with as much care and attention as possible. 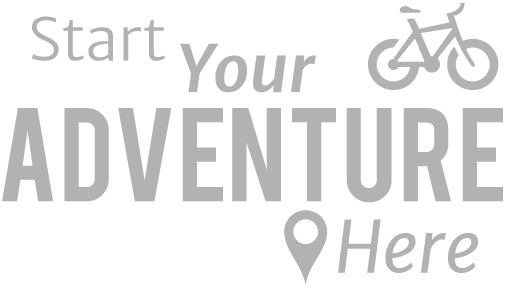 There is the option of hiring a bike from us. If you do decide to bring your own it will be carried as a part of your luggage allowance and to this end we do ask you to make every effort to keep your total check-in baggage to an absolute minimum. The baggage allowance for most airlines for an economy-class ticket is 20kg per person; although a degree of flexibility is usually extended to groups and the check in staff may accept up to 26kg per person without imposing excess baggage charges. If you have any questions about this list please feel free to contact us.